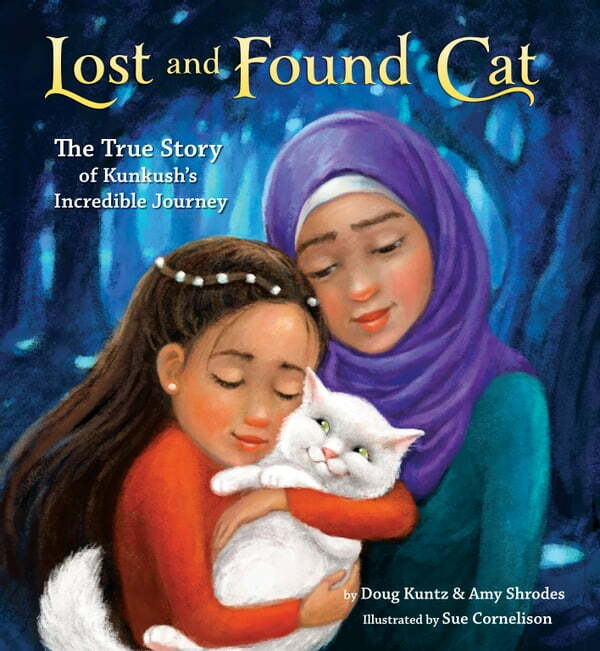 This heartwarming true story of one lost cat's journey to be reunited with his refugee family gently introduces children to a difficult topic and shows how ordinary people can help with compassion and hope. But during the crowded boat crossing to Greece, his carrier breaks and the frightened cat runs from the chaos, disappearing. After an unsuccessful search, his family has to continue their journey, leaving brokenhearted. A few days later, aid workers in Greece find the lost cat. Knowing how much his family has sacrificed already, they are desperate to reunite them. A worldwide community comes together to spread the word on the Internet and in the news media, and after several months the impossible happens—Kunkush’s family is found, and they finally get their happy ending in their new home.